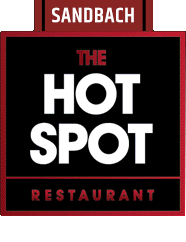 We at Hot Spot Sandbach aim to bring all of our customers the very best value for money, services and food around Cheshire. Give us feedback. Never had a bad meal, delivery is always quick and food hot, everything I ordered exactly right! If I could've put excellent rather than very good I would have done. The food is always fabulous with friendly staff who deliver. I (me and my husband) would HIGHLY recommend 'Hot Spot Sandbach' everytime. 4 stars. Always fantastic food and super fast delivery.